A week or two ago, one of those immoral and assholic Facebook viral sites that solely posts about the health ailments of celebrities to create hyper clickbait and rapid sharing by well-meaning dupes asking for immediate prayers said that Kris Kristofferson was suffering from Alzheimer’s disease. The diagnosis seemed plausible since Kristofferson has been open about suffering from memory loss for the last few years. Earlier in life, Kristofferson was a boxer, and the thought was too many blows to the head and concussions had resulted in dementia and the deteriorating effects of Alzheimer’s. But it was the recent diagnosis of another disease that now has Kristofferson thinking clearer, and thanking his lucky stars. 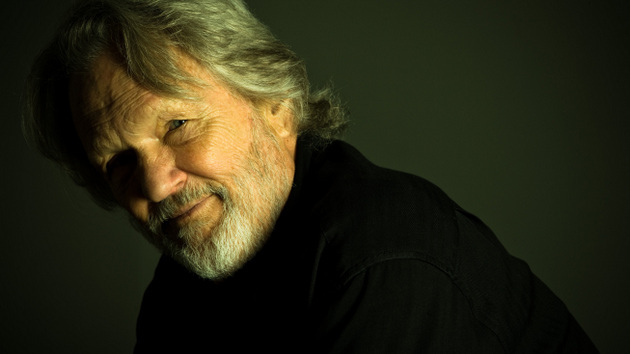 Kris Kristofferson has the tick-contracted bacterial infection known as Lyme Disease. Though nothing to cheer about itself, according to doctor’s for the songwriter, the misdiagnosis, and all the drugs Kristofferson was taking to stave off his memory loss were actually making his condition worse, creating a downward spiral. It is believed that Kristofferson contracted Lyme Disease in Vermont when he was filming the 2006 movie Disappearances. His role as the whiskey smuggling character “Quebec Bill Bonhomme” required Kristofferson to spend hours crawling around on the forest floor, likely resulting in the bite from an infected tick. According to Kristofferson’s wife Lisa, he still has “bad days” when it comes to his memory loss, but is much better after rolling back on certain drugs, and response to a two week treatment for the Lyme Disease. Of course that hasn’t stopped the Facebook-based viral news sites from picking up on Kristofferson’s Lyme Disease diagnosis too, and pleading for urgent prayers for the legendary songwriter once again. Kristofferson’s re-recordings of some of his legendary songs called The Cedar Creek Sessions will be released June 17th. Can’t believe you didn’t mention “The Complete Monument And Columbia Album Collection” box set that is due out Friday. Looking forward to it! Trigger has enough on his plate. You knew about it, and this article wasn’t about that. Please stop that. I meant nothing by it, was just surprised it wasn’t mentioned alongside “The Cedar Creek Sessions” CD at the end of the article. That is all. Hey Rex, I’m sorry if I came off Caustic, I had just had a case of road rage from some a hole and was a bit testy. Peace! Me too, especially considering that there’s a mention in the article of Kris using a copy to jog his memory of his own material. That’s pretty major. I asked Trig a few weeks ago why he didn’t put out an article on the box set, but no harm, no foul. Here it would have made perfect sense to include, but I suppose he had good reason to leave it out (or he just didn’t feel it necessary). Good to hear. I can’t tell you how many times I’ve heard of Lyme disease being misdiagnosed. I’ve known several people who have been laid low for long periods of time because of it. Looking forward to seeing and hearing more Kris. what kind of medicine did they put him for the lyme disease? I know someone who is suffering and nothing seems to be working, some doctors refuse to say they have it. I don’t have an answer for you Patsy, but Lyme Disease is notoriously hard to diagnose, the tests are controversial and disputed because none of them are considered to be conclusive. And because the symptoms are hard to define after the bite subsides, things like “tiredness,” “depression” etc., it’s a common disease to blame on other underlying issues, when the patient in fact does not have the disease, sort of like fibromyalgia. It’s also hard to cure. So to attempt to answer your question (as a country music guy 🙂 ), I think it’s a really complex disease that treating and even diagnosing is very difficult to do. I don’t know about Kris Kristofferson, but I was put on some antibiotics when I contracted Lyme. I can’t remember the name. I just know they were some of the stronger ones. Of course, I was lucky that I caught it when I still had the bullseye rash. My wife was diagnosed in 2012, after complaining of various symptoms, from bowel trouble to memory problems, for over 6 years. Unfortunately, most doctors aren’t very “Lyme-literate”, and some even refuse to acknowledge that chronic Lyme Disease exists. One doctor told her she just needed to “lose weight and exercise”. Of course, we live in the hillbilly part of Ohio, so that might have something to do with it. She sees a Lyme Disease specialist in DC, now, that has really helped her. Traditional doctors/medicine are a waste of time, for the most part, unfortunately. It really takes someone to think outside the box, as far as treatment goes. If caught early, a couple rounds of antibiotics will knock it out. If not, it can take years to get rid of. My wife is mostly over the Lyme part, but there are bacterial “co-infections” that she is still suffering from. It has been a long road…..better than Alzheimer’s, yes, but still a horrible disease. I dont know much about Lyme Disease, but i do know im pumped about all these upcoming Kristofferson releases! What a writer and with all the tragic loses in country music this year, its great to celebrate a legend we still have. This Rolling Stone article these exercepts came from was a great read. Im fortunate enough to have several of his records, always great to revisit them. The Silver Tounged Devil, Borderlord, Jesus Was A Capricorn, are absolute classics in my book. I was very happy to read that his issues aren’t quite as serious as first stated. I hope he’s around for a lot longer and that his health continues to improve.